Abbas, on a visit to Moscow, hails Russia's successes in the Middle East, asks it to play role in Israel-PA peace talks. Palestinian Authority (PA) Chairman Mahmoud Abbas wants Russia to play a role in peace talks with Israel, Voice of Russia reports. Abbas, who is on a visit to Moscow, congratulated Russian President Vladimir Putin on Moscow's achievements in the international arena and expressed hope that Russia would play a central role in the peace process. "We are happy to see Russia's political success these days, pleased with the huge political weight Russia has," Abbas was quoted by Voice of Russia as having said. Among the Russian successes he named the Geneva 1 and Geneva 2 international conferences on Syria, the process of destruction of chemical weapons in Syria, and the agreements on the Iranian nuclear issue. "We are pleased that Russia is acting as an active and influential player in the international arena," said Abbas, adding, "We come out for Russia to play a central role in the Middle East, because you are a great power, a member of the international quartet on the Middle East settlement, you are a friendly nation to us, and you have national interests in the region." He said that the fact that the United States is mediating the current talks between Israel and the PA does not mean Russia's role is decreasing. "The United States has been involved in the Palestine-Israel talks since the start and we hope its role will be effective and carefully weighed. At the same time, we would like other parties, such as Russia, the European Union, China and UN, to play an influential role in these talks and in the general efforts to promote the political process," Abbas was quoted as having told the Interfax news agency ahead of his visit to Russia. Abbas also said that "Russia, historically, is a friendly nation for the Palestinian people and it has supported Palestinians in the time of trials." Nabil Shaath, a senior official in the Palestine Liberation Organization (PLO), also said before Abbas’s visit to Moscow that the PA hopes for a greater Russian role in the peace talks. “Russia has shown that it can do much, including in the Middle East as in the case of the Iranian nuclear program and the search for a political solution to the Syrian crisis. We believe that Russia can play a still bigger role in tackling other international problems. So, it’s not just the Americans who will tackle them,” he said. Shaath said that he was not hopeful that Secretary of State John Kerry, who is mediating the Israel-PA talks, will achieve any positive results. “He will hardly obtain any positive moves from the current Israeli government. The situation is very complicated,” he said, blaming Israel for the lack of progress in talks. “The Israelis do not want to make concessions but just keep on laying demands. They do not want to discuss the status of Jerusalem. They insist that Palestinian refugees should have no right of return. They also put forward security demands, especially for the West Bank of the Jordan,” charged Shaath. The comments are in line with previous comments made by Shaath, who last week accused Israel of "imposing its own agenda" on the talks. "Israel has succeeded in really persuading Kerry to change the agenda of the discussions," he claimed. "Today, you will see Kerry going back and forth, discussing nothing but two issues. The two issues have never been in our agenda: the Jewishness of the state and (security in) the Jordan (Valley)." 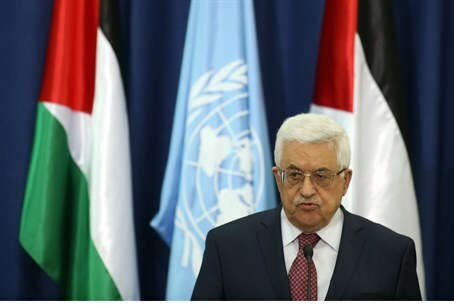 Meanwhile, despite the PA’s accusations of Israel, it has formally refused to recognize Israel and Abbas has insisted that unless all his demands are met, there will never be peace with Israel.